Pictured: Skylah Singleton., 4 months; Elliot Singleton, 26; Chloe Wall, 18. A Florida Missing Child Alert has been issued for 4-month-old Skylah Singleton. She was last seen in the area of the 2900 block of Snow Drive in Deltona. 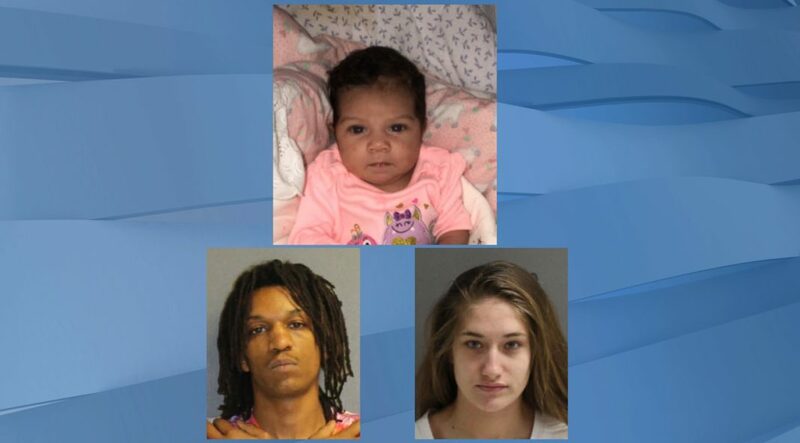 The child may be in the company of Elliot Singleton, 26, who may have his hair in dreadlocks and Chloe Wall, 18, who has birthmark or mole on the right side of her neck, according to FDLE. They may be traveling in a 2007, white Cadillac DTS, New York tag number FBW1838.